Vtech Crazy Legs Learning Bug is rated 5.0 out of 5 by 8. 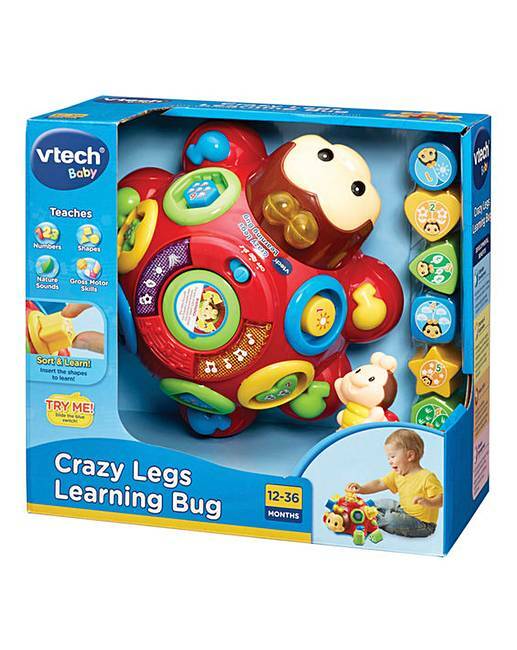 Vtech Crazy Legs Learning Bug. Pull or pop with this cute bug character for shape sorting fun! Features shape sorter pieces that push into their spaces and pop out with a push of the baby ladybird. 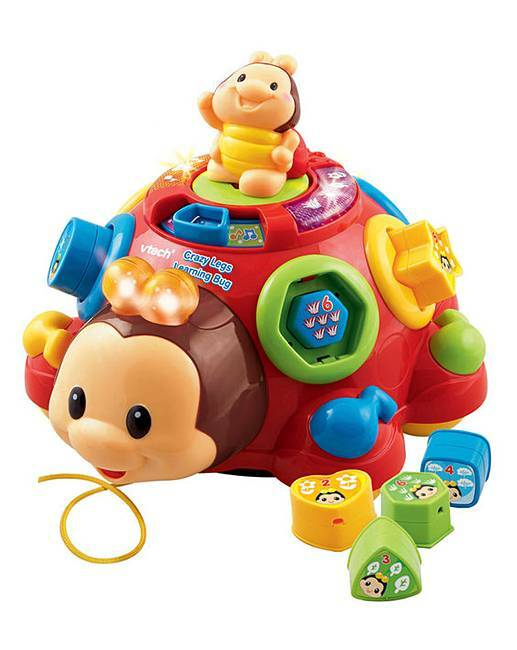 Includes two modes of play, chunky shape buttons and a spinning baby bug that teaches shapes, counting, objects and music. H.17 x W.23 x 24cm approx. Rated 5 out of 5 by glennis17 from Love this Its a christmas present but its great lots of things to keep a child amused and happy. Great value and very presentable. Rated 5 out of 5 by caerphilly from crazy legs I have bought this item for my grandson for christmas. It looks like he will have great fun. He will be a year old just before christmas.